History is story telling — a larger way of looking at life. What better way to begin the tale of The Story Mansion than with Nelson Story, the founder of the Story clan in Bozeman? The epic life of Nelson Story became the basis for the novel “Lonesome Dove,” a TV series, as well as the film, “The Tall Men.” In 1866, Nelson at age 28 rode his horse from Montana to Texas, and then led a 1,000 head herd of cattle on a 1,500 mile drive from Fort Worth to the Gallatin Valley. He foresaw big opportunities in nourishing Bozeman’s growth and the nearby gold fields of southwestern Montana. With the help of 20 Tejano drovers, 2 carvery, and 3 bullwackers, he outsmarted Jayhawker ruffians in Kansas and Sioux in Wyoming. He soon had a Montana fortune in merchandising, ranching, milling flour, and real estate. He left Bozeman in the late 1800’s for Los Angeles, where another fortune amassed. Nelson Story died at age 88 in 1926. One of Nelson’s sons, T. Byron Story assumed the Montana business mantle, prospered, and with his wife, Katheryn Ferris, built the Story Mansion in 1910. There, they raised 5 children. While fortune flourished prior to and during WWI, when a need for wool and flour where high, the Story fortune slumped after the war. T.B. Story consolidated by moving the family to the majestic Nelson and Ellen Story mansion. Now, generations after Nelson and T.B. lived there, their Story progeny reside in Bozeman, as does the Story Mansion. By 1922, a nexus of national fraternities was established at Montana State College, including Sigma Alpha Epsilon SAE. Housing for students was in-town; none on campus, so fraternal groups sought large residences for growing membership. Although T.B. Story’s house was at $30,000, then a mighty sum, the SAE’s met the asking price, garnering much of that sum from the community. The boys held their prize for the next 80 years! Fine craftsmanship, materials, and design of the T.B. Story Mansion is credited with its remarkably good condition during 80 years of fraternity occupancy from 1923 to 2000. It survived heavy use for crammed sleeping quarters in the Carriage House and the 3rd floor “ballroom” (elegant under T.B.’s ownership). Credit should be shared between generations of actives who cherished their fine quarters, and the presence of a House Mother who promoted decorum. House mother’s resided in one of 8 bedrooms (study rooms) on the 2nd floor. Throughout the years, fellow students came to know the terrain on the 1st floor and grounds. The Chapter Room in the basement still flourishes the colors purple and white of SAE. Memories abound among the frat boys who lived in the Story Mansion. By the 21st century turn, the alumni and active SAE’s faced the economic reality of dwindling membership. The house had to be sold! It was a prime target for development; some ventured offers for keeping the house, subdividing adjacent lots and constructing townhouses. Some suggested razing the Story Mansion. “Whoa,” responded the community, including historians, preservationists, architects, the Montana Preservation Alliance MPA, and the National Trust. The Story was one-of-three remaining block-sized mansions in Montana yet to come under public ownership. In 2003, a courageous move by the Bozeman City Manager brought over $323,000 of city general funds to a rescue of the property. The SAE’s sold the property to the City of Bozeman, and hoped to identify a long-term, non-profit occupant that would be appropriate to R1 residential zoning. The City appointed a Task Force. Their due diligence produced negotiations and an offer to Montana State University MSU. Only seven blocks from campus, it seemed a needed and desirable match. However, MSU could not assume long-term maintenance costs. Four years had elapsed. In September 2007, it was an obvious solution to the quandary of how to save and reuse the Story Mansion. “It was one of the best investments the City ever made,” so thought members of the Bozeman’s Historic Preservation Advisory Board, and some on the forefront of “Save the Story Mansion.” A rough business plan was presented to City Commissioners outlining how restoration of the 1st floor could, with rentals as public space, cover yearly operation coasts; restoration of the 2nd and 3rd floors, and the Carriage House for anchor tenants, could meet maintenance costs. Restoration into a gracious public gathering space was a concept endorsed by a majority of commissioners in November 2007. The concept blossomed in 2008. A budding Friends of The Story Mansion gathered increasing community support, alongside a City Commission that voted to match the Deportment of Interior waning offer of a Save American Treasures Grant. With each part of the $394,000 match, totaling $800,000 finally in place, restoration began for the 1st floor, and on elements of code requirements for the two upper floors and the basement. 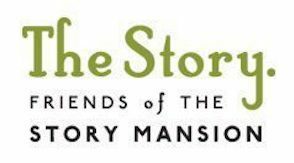 Join the Friends of The Story Mansion to become a part of our mailing list, receive notice of upcoming events, updates on fundraising, and exclusive invites. Enter your email address to follow us and receive email notifications of new website posts.